PHOTO BY NATAWORRY PHOTOGRAPHY Fitz and The Tantrums will play Water Street Music Hall on Tuesday, September 2. Fitz and The Tantrums has found the key, the magic words, to reaching everyone. The band came out swinging in late 2010 with its debut full-length, "Pickin' Up the Pieces." The album was an instant party album, overflowing with neo-soul and retro Motown. It was not only a massive crowd pleaser -- especially the huge single "MoneyGrabber" -- but was critically well-received. Fitz and The Tantrums followed it up in May 2013 with its sophomore album, "More Than Just a Dream." This time, while the album holds on to the band's neo-soul roots, there's a definite high-energy pop angle. The two lead off singles, "Out of My League" and "The Walker," have flown up the charts. But while there's more pop to "Out of My League," and "The Walker" probably wouldn't have fit on "Pickin' Up the Pieces," Fitz and The Tantrums can be heard virtually everywhere. The band has found a way to reach everyone -- coffee shops, alt-rock radio stations, Top-40 chart watchers, indie dance parties, on and on. 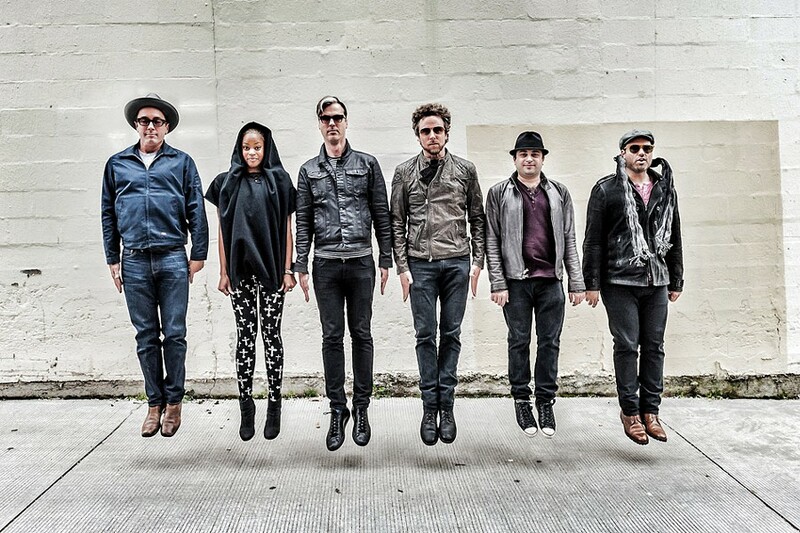 Fitz and The Tantrums are set to play Water Street Music Hall on Tuesday, September 2. CITY spoke via phone with keyboardist Jeremy Ruzumna while the band was home on a short break before kicking off yet another tour. An edited version of that interview follows. CITY: I imagine that when a band gets a couple of weeks off, or they're back home recharging, they don't want to have anything to do with music. They just want to wear earplugs all day and stay in bed. Jeremy Ruzumna: That's actually not too far from the truth. I've got a home studio, and I'm always working on stuff, but it takes at least a week to re-acclimate to being back in town. And usually right as you get to that point, you have to leave again. But you're right, you do just want to hibernate. As much as you want to see your friends and go out, sometimes it's hard to get off the couch. The band just released "Fool's Gold" as the new single. Why did y'all choose that song as the third single? It's a tough choice. People always say, "Ah, that's their baby," and it's true, it's tough to choose between songs. Ultimately, you have to go with what you think will have the most appeal, what you think is the catchiest, what you think is the most fun. It also has to be a song that you're not going to be afraid to play constantly. If it happens to be a hit, if you're lucky, you'll have to play it 10 times a day for the rest of your life. The problem is picking something that you love and something that people will react to. I first saw Fitz and The Tantrums back in 2011 when the first album came out. Now I can't escape "The Walker" and "Out of My League." I'm sure that's been a wild three year ride. It has. And it's funny. We've entered a point where our new songs get even more of reaction than our old songs. "MoneyGrabber" still gets a great reaction, but "The Walker" and "Out of Our League," I think, has surpassed that. For you, as a musician, is there a preference with how you end the set? Do you prefer this older hit, "MoneyGrabber" or doing "The Walker," a more current song? I think either song would be a great way to end the set. "The Walker" keeps us pumped, people love it, but "MoneyGrabber," we have a few tricks up our sleeve for when we do it live. It's hard to choose. It's been more than a year since the album came out. How have those songs settled with you? Have they changed much for you since y'all first released the album? It's interesting, we play them live so much I don't really tend to look back at the album, but when we do them live, we do the songs and add the special live stock to it and give it more energy and make it crazy. But that also makes it really interesting to go back and listen to the record. I hadn't heard the "Fool's Gold" recording in a while because we've been playing it so much, but I went back and listened to it recently and I releaized that yes. For me, being in the band, it's fun to go back and listen to the recordings because I can hear the distance they've come. It's an interesting process. I've heard these two big singles, "Out of My League" and "The Walker," in a lot of different settings: On the alt-rock station here, in coffee shops, in indie locations, connected with some soul. Did y'all go into this album wanting to make these songs universal and accessible to a lot of people? No matter what musicians tell you, you always want people to like your music, and of course, you want to make music that people will want to listen to. I'm much more interested in making music that people are going to hear, than making music people aren't going to hear. But having said that, you have to do stuff that will satisfy yourself and satisfy your soul. Otherwise, you're just going to go crazy trying to record those songs. It's funny, speaking of hearing it in different contexts, the last time I was in an Uber -- or even when I'm in someone's car -- it's funny how often I hear one of our songs. The other day I was in a hotel before Lollapalooza, and it was 3 in the morning and the people next door were making so much noise, I was getting kind of pissed off. But at one point I heard a Fitz and The Tantrums song, so I forgave them. Did you want to walk next door and say, "You know, that's mine." You'll be in the grocery store, in the frozen food section, and want to look at the people next to you and yell, "That's my band." I used to do that back in the day with other bands I was in, when I was in the checkout line. But you start to feel like an idiot after a while [laughs]. The band had this album pretty much in the can before signing to Elektra, right? That's something not a lot of people realize. Our sound changed so much between our first and second record, and then the second record came out on a major label. Many people think we changed our sound because we are on a major label and they made us do it. But we wrote and recorded the entire album, and mixed it, before signing to Elektra. The only thing they had us to do is change a few small mixing tweaks and add a couple small elements to Out of My League, which I think were good suggestions. Overall the record was 99 percent done. There's a thought that record labels are so controlling, but that doesn't seem to be as much the case these days. It seems like musicians have to be road-tested, finished products, and giving out music through Bandcamp.com, before signing to a major label. It's changed drastically. Technology is a huge part of it. Not even the old days, as late as the 90's, if you wanted to release a recording, you had to have thousands of dollars, and most musicians don't have that. You really were at the mercy of the labels. Now anyone, for the cost of a laptop basically, can make an album or the beginnings of the album. We take it for granted now, but it wasn't even that long ago that I could record something in my living room and put it on YouTube and someone anywhere in the world could hear it. Because of that, at first labels lost some control, but at the same time, they could look at a band, look at their digital footprint, and you could look at the accomplishment they've achieved on their own. Our band, we finished an album and had been road testing "MoneyGrabber" for over a year before we got signed to Dangerbird. I think in a way it benefits everyone.